How very sad. 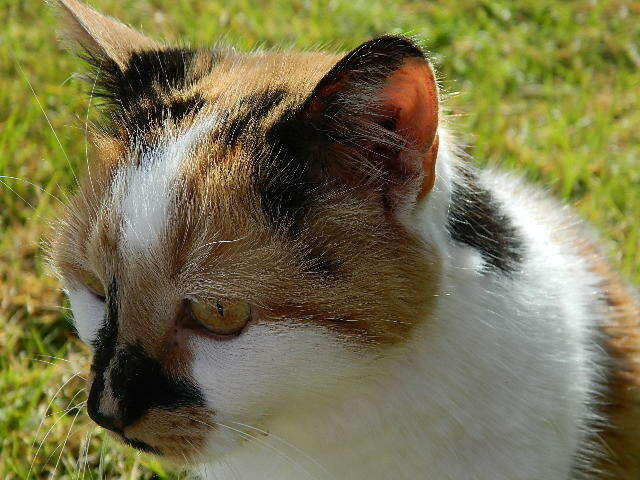 She was a very pretty calico. She was lucky she had you to love her, too. What a lovely girl! and what a heart-breaking time for you. Yes, Juliet, rest peacefully. Oh my, that's so sad. But there comes a time when it has to be done. My cat Pumpkin was 16 when we sent her to kitty heaven. She had feline dementia that kept on getting worse and then the last straw, her kidneys has started to fail. It was time. I broke my heart because she was a loving cat that loved a good cuddle. I am so sorry for your loss. She was a beautiful girl. Big hugs.